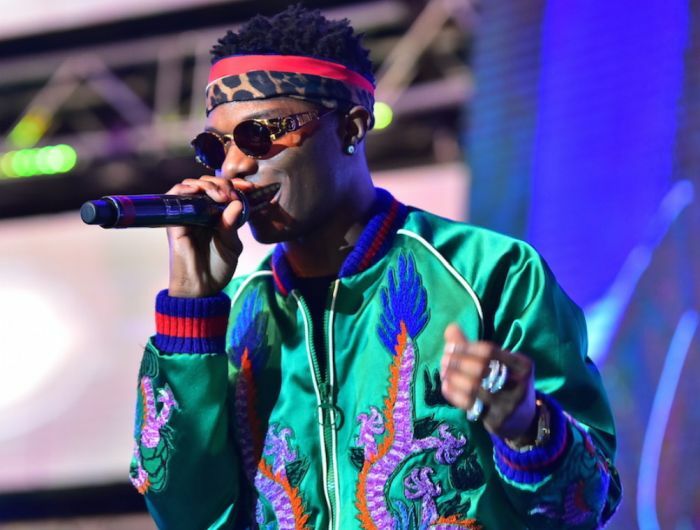 Yesterday there were rumours all over the Internet that #Wizkid was billed to perform at this year’s #World-Cup in Russia. Without valuable source, fans started asking Wizkid on Twitter to know if the rumour was true or fake. 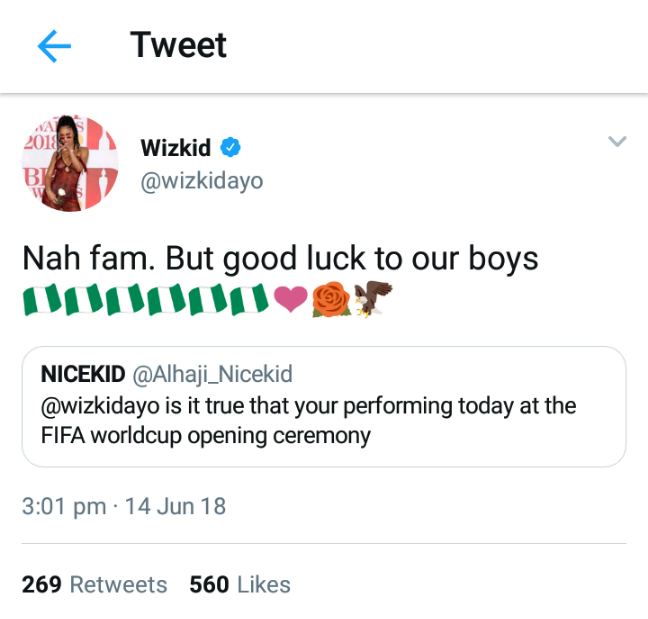 Wizkid denied the rumour but he was quick to wish the Super-Eagles Goodluck.